Russia on Wednesday accused the United States of 'destructive' meddling in Nicaragua's affairs for calling a UN Security Council meeting on the crisis in the Central American country. Human rights groups say more than 300 people have died in Nicaragua during four months of anti-government unrest that have seen police and the military open fire on protesters opposed to President Daniel Ortega's rule. Russia, China and Bolivia opposed the US-chaired meeting, but US Ambassador Nikki Haley said the top UN body "should not -- it cannot -- be a passive observer as Nicaragua continues to decline into a failed, corrupt and dictatorial state." 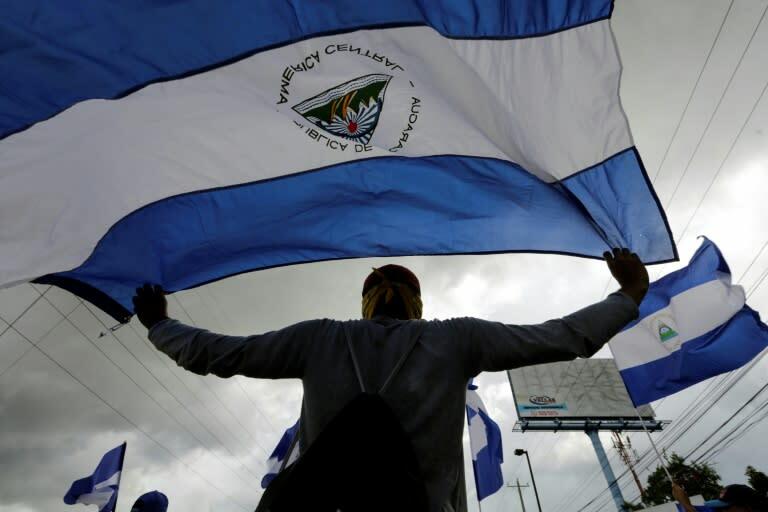 "The Security Council is being transformed into something of a judge over Nicaragua," Russian Ambassador Vassily Nebenzia told the meeting, the first to be held by the council since large-scale protests erupted in April. Nebenzia described the US decision to raise Nicaragua at the UN council as a "glaring and grim example of destructive foreign intervention" and accused Washington of stoking division in the country. "Following today's discussion, polarization in Nicaragua will only worsen. The initiators are indeed seeking to achieve that." Russia argued that the situation was "stabilizing" and that differences between the government and its opponents should be resolved "through direct peaceful dialogue, with pressure from abroad." "Daniel Ortega and Nicolas Maduro are cut from the same corrupt cloth. They are both students of the same failed ideology. And they are both dictators who live in fear of their own people," said Haley. Nicaragua's Foreign Minister Denis Moncada told the council that "this meeting is a clear interference in the internal affairs of Nicaragua" and a violation of the UN charter. Ortega kept it simpler. He told thousands of supporters later that "if the United States wants to help the Nicaraguan people, to contribute to peace, the best thing they can do is not mess with Nicaragua!" That four-member mission was forced to leave Nicaragua on Saturday at the government's request.